NASA’s decision to launch a satellite to search for planets around other stars on a SpaceX Falcon 9 rocket in 2017 will allow officials to cancel plans to order a solid-fueled kick motor to send the telescope into a unique high-altitude orbit, the mission’s top scientist said. 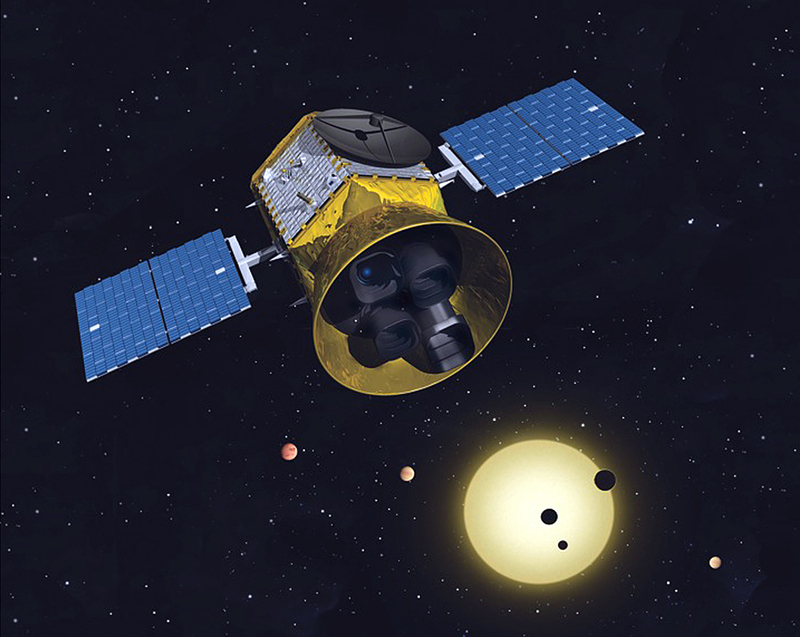 The Transiting Exoplanet Survey Satellite, or TESS, will launch from Cape Canaveral, Fla., in August 2017 on a two-year mission looking for planets circling nearby stars ripe for follow-up observations to determine whether the alien worlds might be tolerable for life. 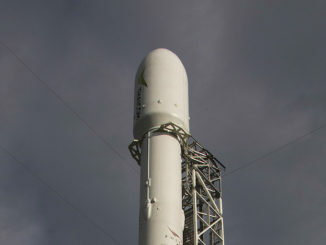 TESS was intended to launch on a small-class rocket like Lockheed Martin’s Athena 2c or the Orbital Sciences Minotaur-C. If TESS flew on a smaller booster, NASA budgeted to buy a Star 37FM rocket motor made by ATK to help the observatory begin a series of complicated maneuvers to reach an operational orbit more than 200,000 miles above Earth. 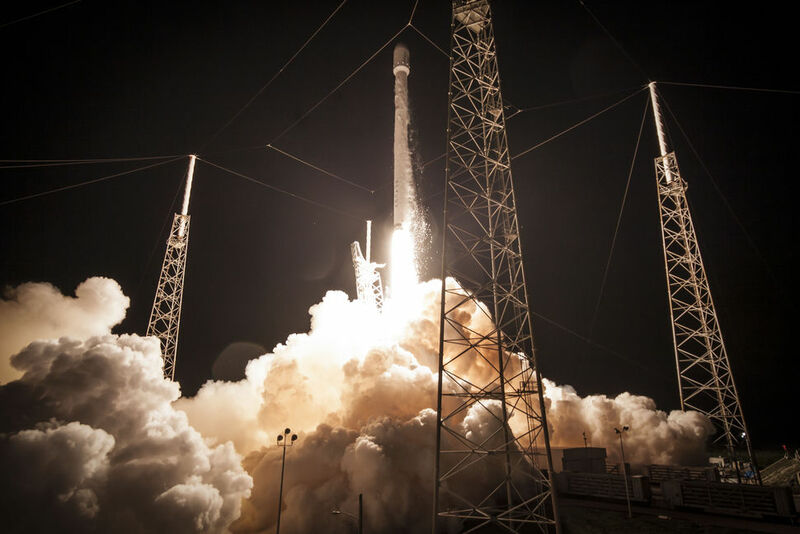 With NASA’s selection of a Falcon 9 rocket, TESS no longer needs a Star 37 kick motor, according to George Ricker, the mission’s principal investigator from the MIT Kavli Institute for Astrophysics and Space Research. A two-stage Falcon 9 v1.1 rocket will launch TESS into a highly elliptical orbit with an apogee, or high point, more than 150,000 miles above Earth, then the satellite will raise its orbit for a loop around the moon. TESS will use lunar gravity to steer it into a permanent orbit where the gravitational pull from the Earth and moon balance out, keeping the spacecraft stable with little need for maneuvers to maintain its position. The lunar-resonant orbit ranges in altitude from 67,000 miles to 232,000 miles above Earth. TESS will complete one lap around Earth every 13.7 days, according to NASA. TESS is the second NASA science satellite assigned to launch on a Falcon 9 rocket. The mission’s launch cost is approximately $87 million, according to NASA. 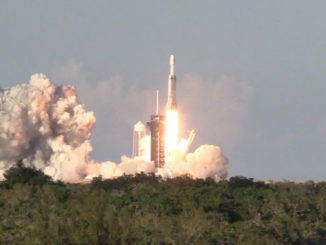 The figure includes the launch service, spacecraft processing, payload integration, tracking, data and telemetry, and other launch support requirements, NASA said in a press release. NASA’s cost cap on the rest of the mission — including development of the spacecraft and instrument, mission operations and data analysis — is $200 million. The TESS spacecraft will be manufactured by Orbital Sciences and is based on the company’s LEOStar 2 satellite bus. Its mass at launch will be about 325 kilograms, or 717 pounds. The space agency plans to complete certification of the SpaceX launcher in time for the March 2015 liftoff of the U.S.-French Jason 3 oceanographic research spacecraft — the first NASA science mission contracted for a launch by SpaceX. NASA’s Launch Services Program is responsible for awarding launch contracts to rockets on a pre-approved list. Based at the Kennedy Space Center in Florida, the office oversees competitions for launches of NASA space telescopes, interplanetary probes, and Earth observation satellites. 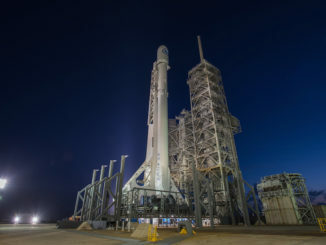 SpaceX’s cargo resupply missions to the International Space Station fall under a separate contract managed by NASA’s human spaceflight program. The TESS mission will monitor 500,000 stars across the entire sky, watching for temporary dimming caused by the passage of a planet between the star and Earth. Scientists expect TESS will discover thousands of candidate planets to be confirmed with follow-up observations. TESS is NASA’s second mission dedicated to exoplanet research after the Kepler telescope. TESS will conduct an all-sky survey and look at brighter stars than Kepler, making it easier for observatories such as the James Webb Space Telescope and ground-based telescopes to determine the mass, size, density and atmospheric make-up of the planets. The satellite will carry four wide field-of-view 16.8 megapixel cameras to cover 400 times the area of the sky seen by Kepler.